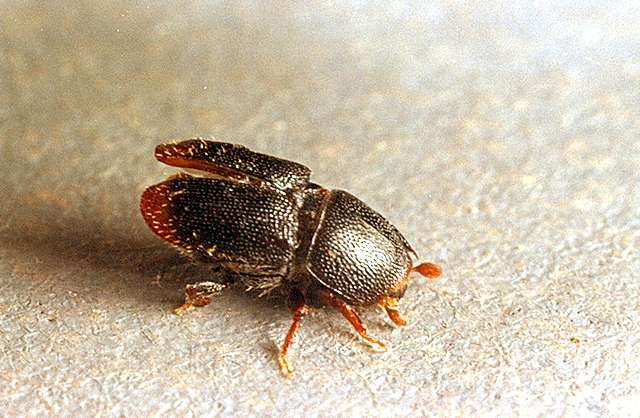 Pest description and damage The adult shothole borer is a brownish-black beetle about 0.08 inch long. 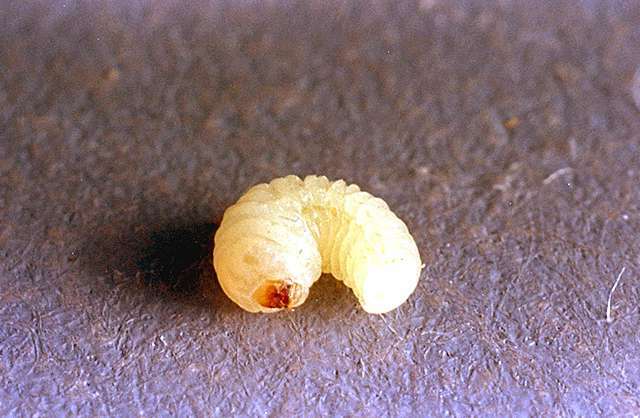 The larvae are white, legless, and about 0.16 inch long. When the numerous beetles emerge, the bark looks like it had been hit by buckshot. 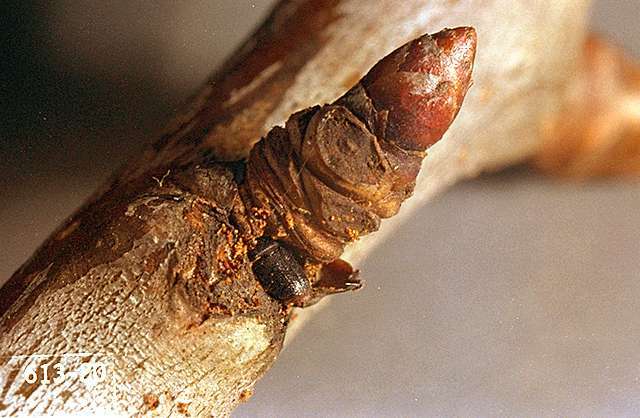 These beetles are primarily a problem on injured or stressed plants, but healthy trees growing adjacent to blocks of neglected trees also may be attacked.